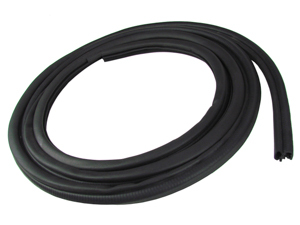 This is a push on style door seal which alleviates the need of messy weatherstrip glue. Just press it on and you're done! This seal mounts on the pinchweld of the body and fits either the left or right side. Made using Premium OEM grade, ozone resistant materials.